Piscari-Fly : Black is Best for Times when the hot spots stop working. Black is Best for Times when the hot spots stop working. 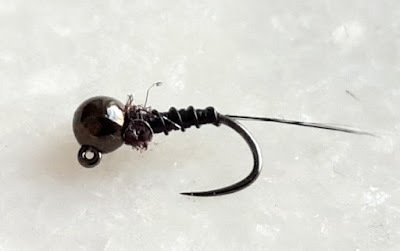 A lot of very effective nymphs are used and tied on a daily basis that have either shiny flashy bright beads, hot collars or hot floss tags and butts; glowing trigger points and flashy dubbing's. They do work a major percentage of the time and in my nymph boxes you will find my interpretations of nymphs with these attractive hot spots in the dressings. 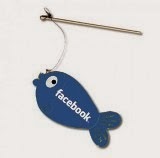 But there is occasions when the fish in a river that want something a bit more plain and simple. I also have quite a few natural and very effective patterns that are so simple in their make up and wouldn't contain any attraction components. Of all these nymphs it is the pure black nymphs that will be the most effective for me when the hot spots and flash stop working. Here is two nymphs of these simple nymphs I wouldn't be with out when approaching a river. The first one is one I would use mostly for a euro nymphing style and the second nymph I find is far more effective under a dry fly in the Klink and dink set up. 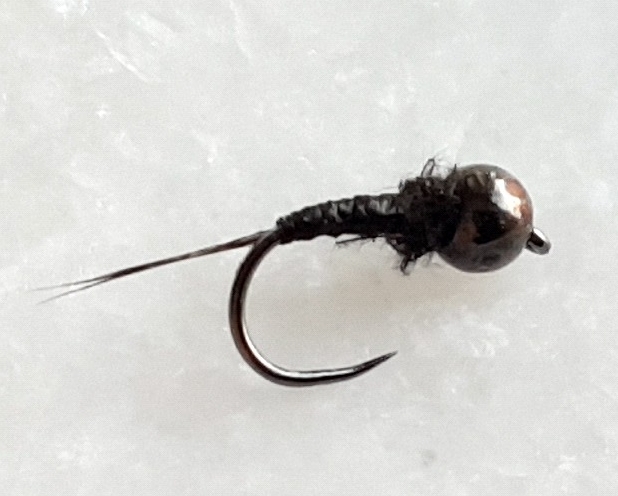 This nymph is tied on a size 18 Dohiku Jig hook with a Black Nickle 3mm slotted bead. The tail is dark Coq De Leon and has a medium thickness black wire rib. For the body it is Sulky Black Tinsel which I picked up from my local sowing shop and the nymph is finished off with a pinch of black Sybai super fine Dubbing just behind the bead. For this little nymph, it is tied on a size 20 Dohiku 301 dry fly hook. The bead is 2.5mm black nickle again and the tail is the same as the above nymph also. While I use the same tinsel as the first nymph this time to give the body some strength I use my super strong silk thread and colour it black with my sharpie pen; after spinning the thread I go down and back up the body to act as a rib. The Dubbing collar here is a small pinch of black CDC twisted onto the thread and whip finished in. So simple in there make up, but yet so effective in there ability to catch fish. It is worth your time experimenting with some really plain and simple nymphs that could catch you a lot more fish. I hope you have enjoyed reading this post and enjoy tying these flies. If you have any questions or queries please feel free to contact me. Also make sure and check out my website www.piscari-fly.com for all your tungsten beads, Dohiku barbless hooks, the amazing Syndicate Fly Rods, Reels, leaders and much more. Thanks for reading.